Do you like the color turquoise? Then you will love this pitcher. The turquoise melamine pitcher from Rice has a capacity of 1.75 L and is easy to lift and hold thanks to its large handle. The pretty color of the pitcher combined with the attractive design make it a highlight on the picnic table. It is also a great helper at garden parties and if on your birthday everyone arrives with a bouquet of flowers, it can also quickly be converted into a vase. 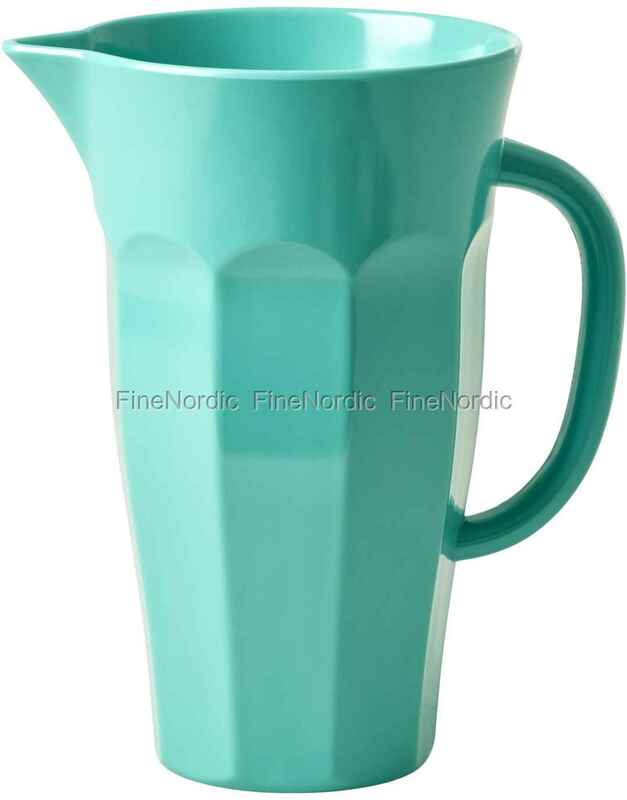 Super practical, great design and look, the turquoise melamine pitcher from Rice is in a class of its own.